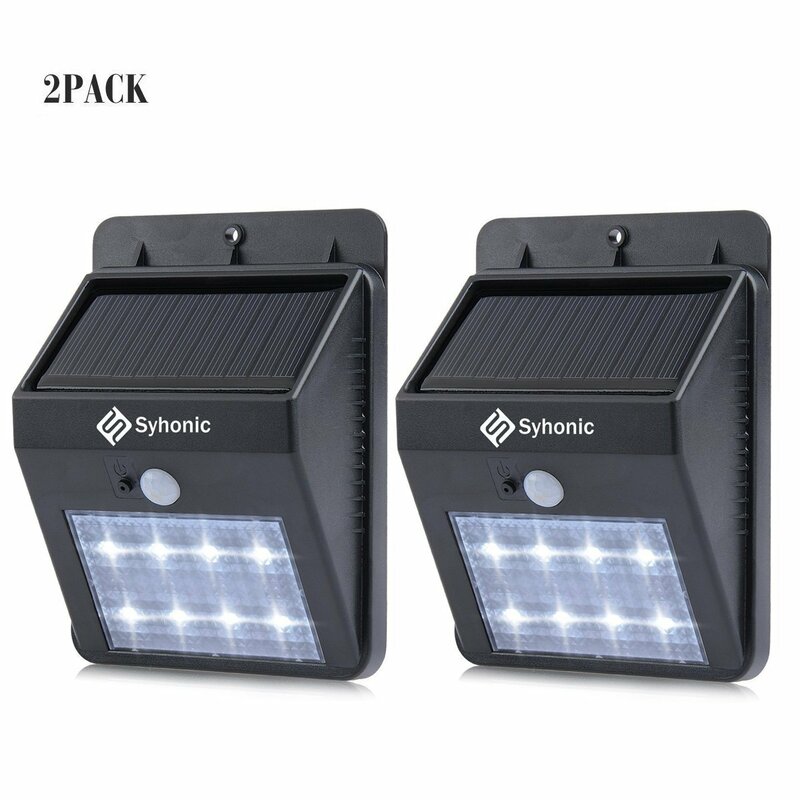 Home › Energy-Efficient LED Lighting › Syhonic Solar Lights Motion Sensor Waterproof Wireless Led Outdoor Spotlights..
Syhonic Solar Lights Motion Sensor Waterproof Wireless Led Outdoor Spotlights.. The solar panel should face south and free from light obstructions such as buildings, trees, fences, bushes or shadow to get enough sunshine. Please remove the protective film from the solar panel before using.